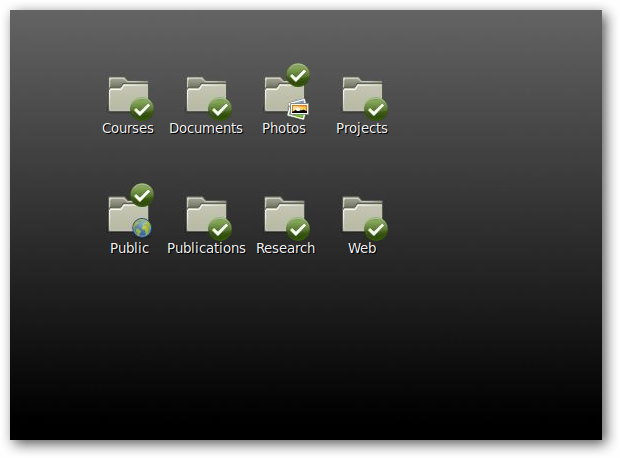 By default, Ubuntu creates a folder called Desktop in your home directory that gets displayed on your desktop. What if you want to use something else, like your Dropbox folder? Here we look at how to use any folder for your desktop. 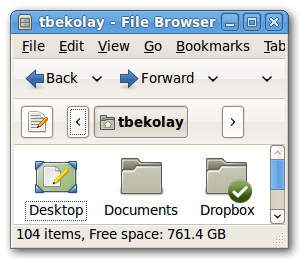 Not only can you change your desktop folder, you can change the location of any other folder Ubuntu creates for you in your home folder, like Documents or Music – and this works in any Linux distribution using the Gnome desktop manager. In this example, we’re going to change desktop to show our Dropbox folder. Open your home folder in a File Browser by clicking on Places > Home Folder. In the Home Folder, open the .config folder. By default, .config is hidden, so you may have to show hidden folders (temporarily) by clicking on View > Show Hidden Files. 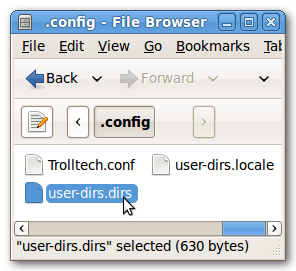 Then open the .config folder by double-clicking on it. If double-clicking on it does not open it in a text editor, right-click on it and choose Open with Other Application… and find a text editor like Gedit. 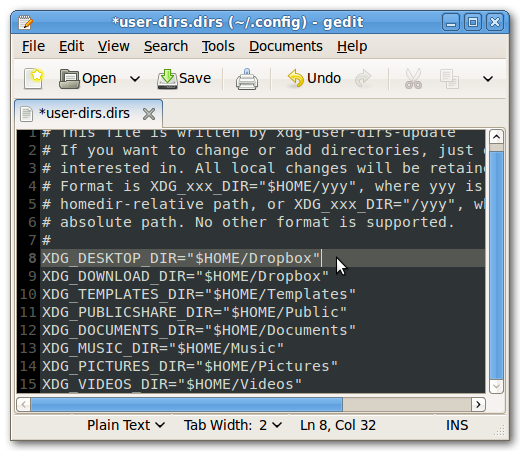 Change the entry associated with XDG_DESKTOP_DIR to the folder you want to be shown as your desktop. In our case, this is $HOME/Dropbox. Note: The “~” shortcut for the home directory won’t work in this file (use $HOME for that), but an absolute path (i.e. a path starting with “/”) will work. Feel free to change the locations of the other folders as well. 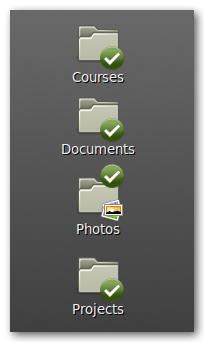 Nautilus (the file manager in Gnome) will restart itself and display your newly chosen folder as the desktop! 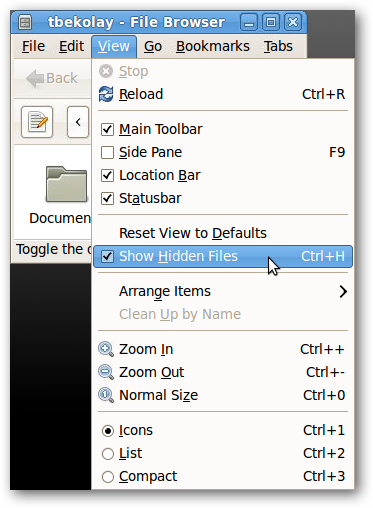 This is a cool trick to use any folder for your Ubuntu desktop. What did you use as your desktop folder? Let us know in the comments!